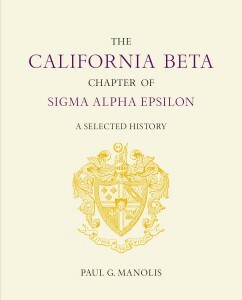 We are extremely pleased to announce that Paul Manolis’s magnificent book, The California Beta Chapter of Sigma Alpha Epsilon – A Selected History, has been completed and we received our copies from the publisher in November 2013. The great news is that the Housing Corporation Board of Directors has decided to make this book available to all Cal Beta alumni and undergraduates FREE OF CHARGE. Yes, you read that last sentence right. All you have to do to receive the book is complete the form below telling us where to mail the book. We would also like to receive your current email address if you have one. That’s it. No strings attached. 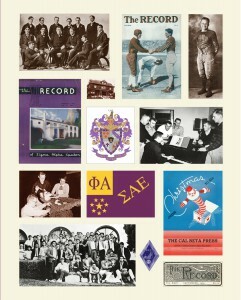 We are so impressed with the quality of this book that we want every Cal Beta alumnus to share in our excitement and receive a copy regardless of his ability or desire to pay for a book that could easily retail for $75 or more. 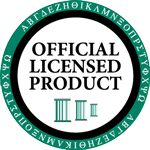 Our hope is that after reading the book, many of you will feel an extra measure of pride in our beloved Cal Beta Chapter and choose to make a tax-deductible donation to the Cal Beta SAE Educational Institute. But you are under no obligation to do so. This is our gift to you and we hope it brings you many hours of enjoyment. Please contact us at info@SAECalBeta.org if you have any questions.